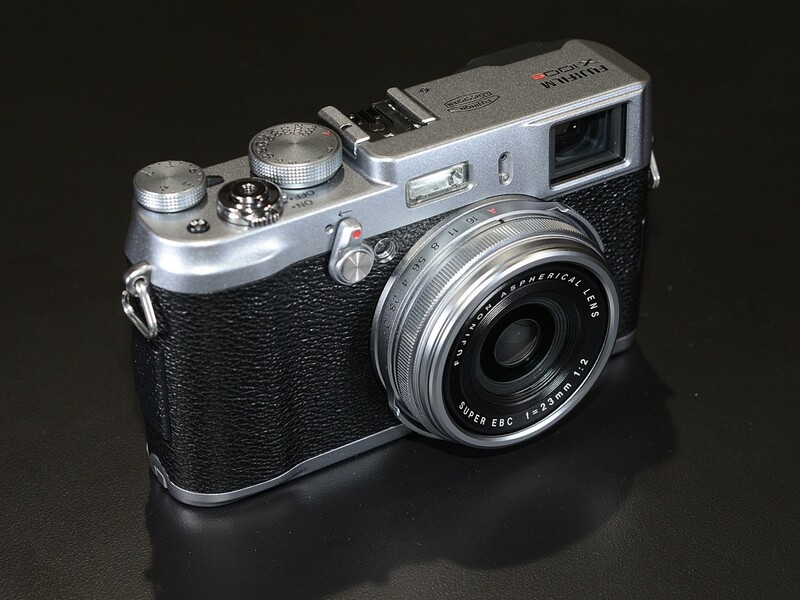 Perhaps the most interesting camera at this year's Consumer Electronics Show is the Fujifilm X100S - a hugely impressive upgrade to the X100, which was one of our favorite cameras of the past couple of years. The X100 was a great camera, but some serious operational quirks (and a good number of downright bugs) made it less lovable than it should have been. Firmware updates fixed some of the issues, but some remain burrowed-in to the camera's operation. Ultimately though, for a lot of photographers the good things - the excellent 12MP sensor, sharp F2 lens and superb color rendition - outweighed the annoyances. The 'OK' button is more prominent at the hub of the rear control dial, which is much more easily depressed than the same control on the X100. The Raw button is re-purposed to activate the 'Q' function menu and AF point selection is moved to the four-way controller, rather than the left flank. 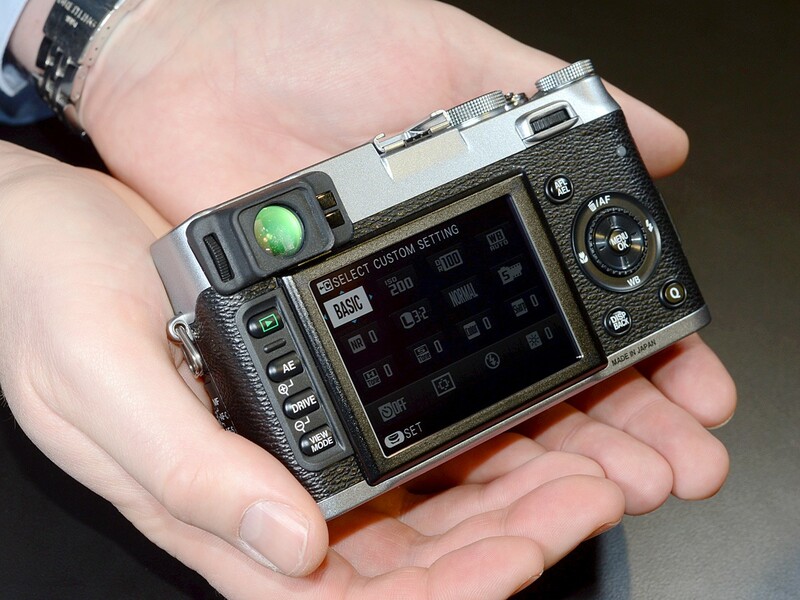 Fujifilm hasn't been standing still since the launch of the X100. 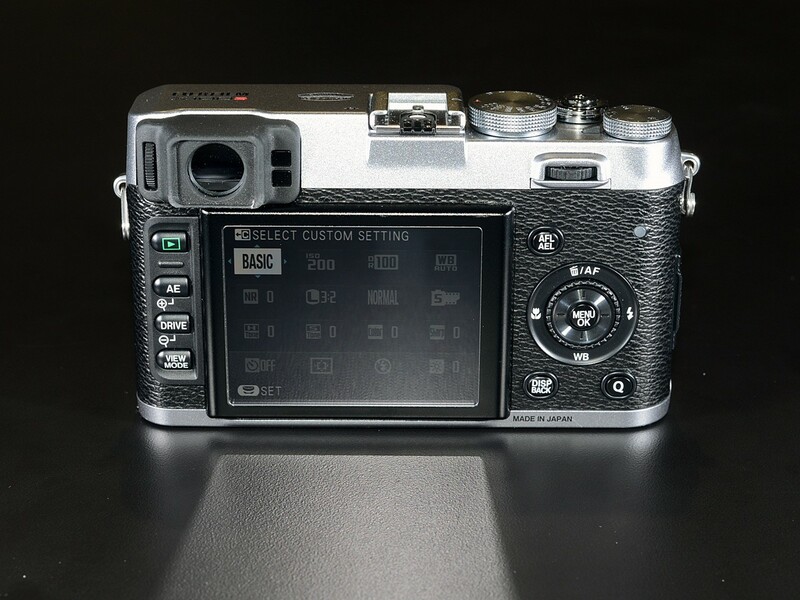 The X100S is a significant upgrade to the original model, and from our initial impressions, it appears to fix all of the most serious problems that we experienced with its predecessor while adding some very welcome features. Resolution has been increased from 12MP to 16MP, focus has been overhauled thanks to the addition of on-sensor phase-detection AF, and (gasp!) manual focus finally works in the way it should, courtesy of sensible aperture behavior (aperture is fixed wide-open when focusing) a new focus peaking function, a 'Digital Split Image' focusing display and a considerably more responsive focusing ring. Manual focus in the X100, even after the firmware updates was an exercise in frustration but after using the X100S, we're much happier - it's a totally different experience. 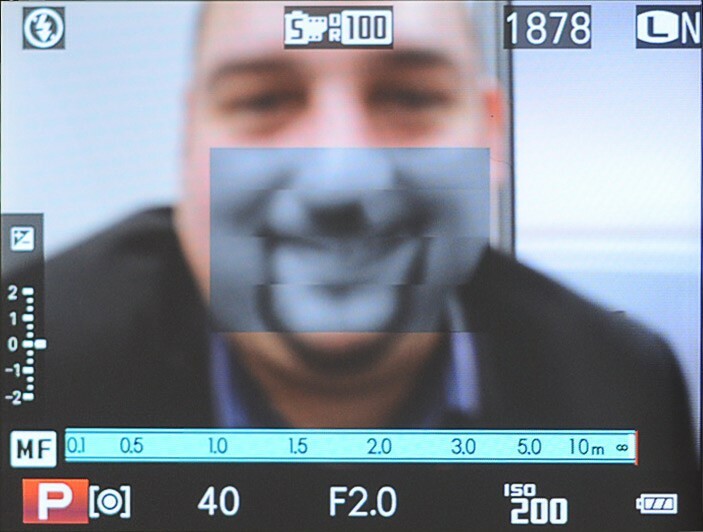 This image shows how the Digital Split Image focus aid works. When activated, you'll see a gray rectangle appear with four horizontal 'strips'. To achieve accurate focus, you move these strips into alignment. 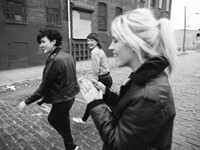 (click the image for a bigger view). And here's how our subject looks when properly focused. The four horizontal strips have moved into alignment. For really critical focus, you can enlarge this gray overlay by pressing in the rear jog switch. Enthusiasts will be very interested in the improvements to manual focus but a major feature of the X100S is on-sensor phase-detection AF, which even in the relatively low light of a CES meeting room, works very well and delivers noticeably faster and more positive focus (quickly moving into focus with minor or unnoticeable jitter) than we're used to from the X100. We have to reserve final judgement for now, but we're very keen to test this function thoroughly when we get our hands on a reviewable camera. We've only had a very short time with the X100S (the sample we used to create our 'first look' preview was non-final), but even in the short time we've spent with the camera, we're very impressed by the improvements that Fujifilm has made. the X100 was a fine photographic tool but the X100S is a much more attractive prospect and one that we're sure will get enthusiasts very excited in 2013. Watch out for a full review in the coming weeks. Well instead of rushing out to buy one I'd better have a chat with the bank manager first. Come on Fuji get real. in low light autofocus fails sometimes... it's frustrating!! So how can we select the ND filter etc if the RAW button - which Fuji eventually made customisable - has been replaced by the Q button. I don't see it available in the Q menu? This would be a step backwards. I appreciate the info you share on this X100s. I will allow myself to sell the x100 right now and wait for the upgraded X100s. It feels as fuji pushed my beloved X100 to something I expected from the X-E1. While I appreciate dpPreview trying to get info out as it becomes available, I find all these "previews" too much, or too many? and then an article about this "Digital Split Image". I assume we will see some Sample Images next, and then a full Preview, without any more "previews". The first manual focus system on a Digital Camera that could be better than the traditional split-screen. 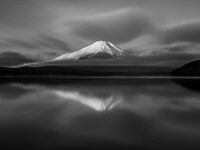 Bravo Fuji! I really REALLY want this camera, it looks awesome, so this is not a dis on this camera at all, but mirrorless cameras have been doing a better job on manual focus than the traditional split-screen for a long time. Maybe you meant to say "on a compact camera" instead of "on a Digital Camera"? > mirrorless cameras have been doing a better job on manual focus than the traditional split-screen for a long time. I agree. My GX1 focuses accurately and extremely rapidly. I really don't see the point of manual focus. Maybe in some specialized situation, but not something worth all the fuss. Well, maybe, but maybe not. Traditional split screen is not only split-screen, but on a DSLR also a precise and tactile movement of the focus ring, something that stays where it's supposed to stay and which you can use to focus again *without* looking through the OVF. In that regards X100/X100s falls short, because of its focus by wire mechanism that is useless without an OVF/EVF. You cannot shoot from the hip and make sure distance is right, you can't use this camera without looking at its screen or the OVF/EVF. Nearly good, but not yet there. Thank God they beefed up the OK button... really, the X100 is a fantastic camera and I expect the X100s to be even better, but the one thing that most makes me mad about the X100 in the two months I've had it is the fact that I can't get a definitive "OK" on delete or function select!!!!! It seems to toggle to cancel as much as it selects OK... I know I have fat fingers, but really... it needed improvement! I wonder how the next generation of OMD will be improved. I noticed in your photo the focus selection switch on the side now has AF-S on the bottom rather then in between the other two. That's a welcome change. I'm always changing between AF-S and Manual on mine and find it tough to quickly get that switch to the middle setting without over shooting to AF-C.
Good attention to small improvements on Fuji's part. I'm guessing their designers spend a lot of time shooting with their cameras too. Oh and the Digital Split Image focus aid brings back memories of manually focusing using the split screen and microprism ring of my old Practica back in the 80s! It seems very appropriate on this retro-styled camera. This is a very desirable camera now that they've fixed most of the hardware and software bugs. A few caveats remain for me though - the back panel scroll wheels and dioptre adjustment look like they're constructed of very cheap plastic. As well as the vertical one seemingly way too narrow. I would also of liked to have seen the front mounted rotary focus switch seen on their other X-models rather than this side-mounted one. Apart though from those little details, I really like this camera a lot. I'd also prefer the rotary switch on the front. They did improve it by moving AF-S to the bottom instead of the middle. Overall, the issues I had with the X100 control layout were small details that I can easily get passed. The minor updates that they did do will pretty much solve most of my issues with it. What about the Sticky Aperture Blade problem from the X100? Finally fixed or not? Posts about X100 being sent in for the SAB still shows up frequent in the forum. it probably affected only some. I have had mine for 18 months with good 6000-8000 captures and no problems with it at all. Fuji announced 130 000 X100 users worldwide, how many complained? That was an issue fixed awhile ago on the X100. It will still come up because it's one of those things that only begins to rear it's ugly head after the camera gets a good amount of use. I think mine had around 12,000 clicks and that took me almost 2 years. I'm sure it's something we don't have to worry about with the X100s. The SAB issue was supposedly caused be the Japanese earthquake flooding Fujifilm facilities, and new ones having paramters slightly off. The SAB issue should not affect even X100's built or serviced with parts since 2012 and onwards. I think many current reports are from people with old models finally having this issue show up on their cameras too. I know it happened to me. Happened three months ago on my Q3 2011 X100. Everybody talks about improvements of MF but mostly mentions Digital Split Image and Focus Peaking. What is the feel of focus ring? I believe that most of the X100 users were not that much in the need for focus peeking but rather better feel of using manual focusing ring on the lens. X100 requires lots of turns to focus on something which renders it pretty much useless. Is the feel of the focus ring at least as good as on 35mm XF lens (for X-Pro1/X-E1) or better? This is an excellent marketing strategy, the latest models, the latest technology - no matter the price point. This X100 series will likely become a camera with a cult following, as it develops even professionals/enthusiasts will find this fixed prime series the camera to have with them all the time - premium quality in a small robust affordable package. I'd say it already has a cult following. A few months back Uniqlo (a major clothing retailer in Asia and NYC) was selling X100 T-shirts. The new GXR can have it...... stay alert ! Why, more than 2 years ago, when RICOH made the mode 2 focus iimprovement on GXR SYSTEM, any person no highlighted with the same emphasis this very important feature? At today's date DPReview also has ignored a test of GXR! The market has spoken, and the GXR is an unambiguous failure. DPR has limited staff time to be allocated, and every minute spent on a GXR item could be spent on something of much broader interest. I know I wouldn't bother reading about another far-fetched GXR lens/sensor module unless it does something more remarkable than simulating a split ring focus aid. 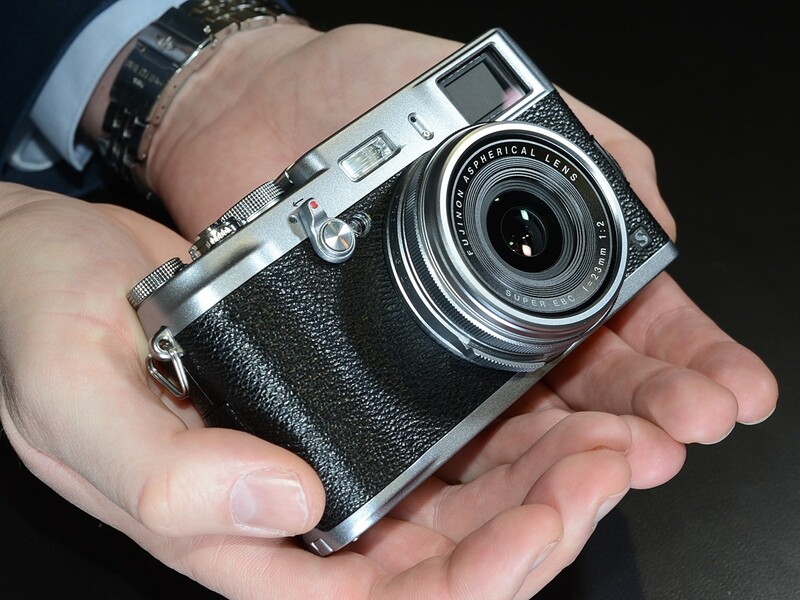 Luckily for Fuji, the X100 was a success and its replacemend is of interest to many. 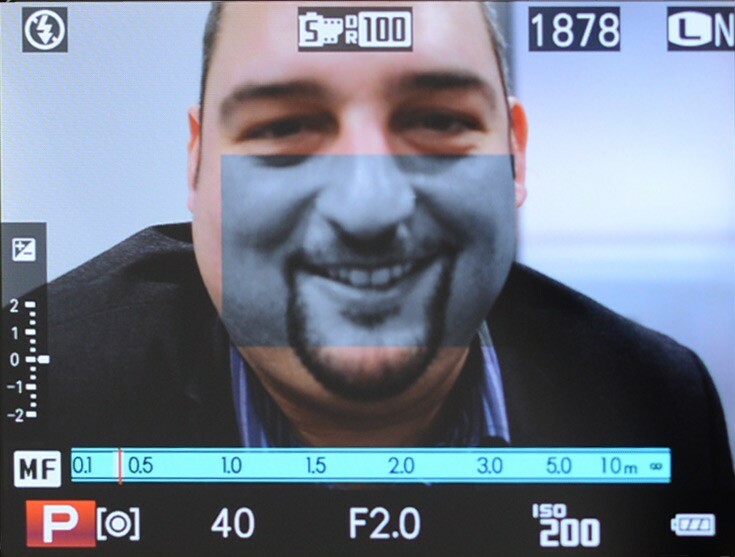 When Ricoh showed dual mode focus peaking on the GXR Mount A12, we highlighted it in our preview. But what Fujifilm is doing with digital split image is rather different, totally new, and technically very interesting (not to mention clever), so naturally we're covering it too. We make no apologies for writing about things we think will interest our readers. As I recall it, Ricoh just copied Sony at that time - because it was Sony with the NEX system who invented focus peaking. I had a Ricoh GXR at that time and was happy Ricoh added the peaking function later to their cameras. So as much as I like Ricoh - not their idea. The catch to the split image thing is that you have to be using the digital option instead of the optical finder. seems nobody really talk about the actual af speed, only that fuji promises it is faster, but didnt the focusing work on the sample camera? "Enthusiasts will be very interested in the improvements to manual focus but a major feature of the X100S is on-sensor phase-detection AF, which even in the relatively low light of a CES meeting room, works very well and delivers noticeably faster and more positive focus (quickly moving into focus with minor or unnoticeable jitter) than we're used to from the X100." Okay, don't want to get excited, too early, but this is looking seriously do-able. I think Fuji has been serious about staying in the game and listening carefully to their customer feedback and reviews of their products. With each generation of X camera we can see measurable improvement. No camera will please everyone and Fuji is not taking that road, but instead they are creating their own niche and I wish them all the best on that path. 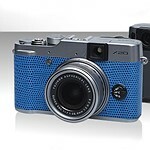 If the reviews of the X100s are good I plan to buy one myself. great to know Fujifilm is listening to consumers feedback. Interesting concept but why such a small field of view in the viewfinder only 90% and 80% for the other model announced. I suspect the brightlines have been set so that they're roughly right at most focus distances, rather than being 100% at infinity (which would look good on the spec sheet), but always too big when focused closer. The 90% is the frame lines. The viewfinder extends beyond that and encompasses more than the sensor captures. At least so I've been told by x100 owners. I was waiting for a corrected manual focus and second gen(I don't buy first gen anything anymore unless my current gear is insufficient). I've already pre-ordered on Amazon and can't wait to get it. I love split image focusing and from the videos the focus ring responsiveness seems to have improved sufficiently. I agree, 90% like the previous model's, is disappointing. Especially for a camera advertising a wonderful hybrid viewfinder. This is not a DSLR. 85% is a good number. Your viewfinder field of view explanation is most informative, the narrow view only being applicable to the guidelines while the actual view stays >100% sounds like an excellent compromise. Thanks. If these developments are borne out in the production model and the field, it looks like Fuji are really nailing the best design elements for mirrorless cameras. What else is there to ask for (apart from better weather sealing!)? I'm with the poster who said that he's waiting for the same features to appear in a future XE2 model - I just find it difficult to live with one fixed lens. Give me an XE2 and a small range of high grade lenses and I'll be very happy. But that camera already exists, only MUCH more ergonomic: Sony's NEX series. Of course, I understand it's cooler to like retro-niche Fuji and dislike Sony simply because the latter's big and accessible. Barney, how much "faster" in specific is the new AF? Can you comment in relation to a PL3/PM-1 with a 14-42 kit lens or similar? How does it compare to Pentax K-01? I'm sure they at least had one of those in the meeting room. any samples? imho there is not a ready firmware yet. Very exciting, but having owned an X-100, I just can't live with one fixed lens. As a NIkon D7000 owner I'm in no hurry so gonna hold out for the X-E2 which should see these kinds of significant improvements, specifically the X-100S' supposed lightning-fast focusing. "I just can't live with one fixed lens." I hear you. There are people who can live at 35mm eff, and then there is the X-Pro1. Hmmmm "Mass shipments at the end of March," Ralphdaily says. Based on the track records of every single manufacturer in the field, I would bet serious money we won't see this camera in stores before June. "Watch out for a full review in the coming weeks" ????? But thanks for the interesting information. Well, plus there was Photokina, and some big DSLR releases, and we launched a whole new site with minimal extra resource... things will speed up in 2013. Keep it up Barney, you and the team are doing a great job. I am look forward to the full review in due course. If there is a review before mass shipments at end of March that would be cool. I'd know whether to hold or fold on my preorder. That's not entirely in our hands, but it's a camera we'll want to cover quickly. Coming in spring/summer, from what I've heard (this is unconfirmed though).